Grace and Peace to all the good Christians of the Steem Church! The school year is almost over and the most beautiful month of the year begins, the holiday season, month of love and family sharing! 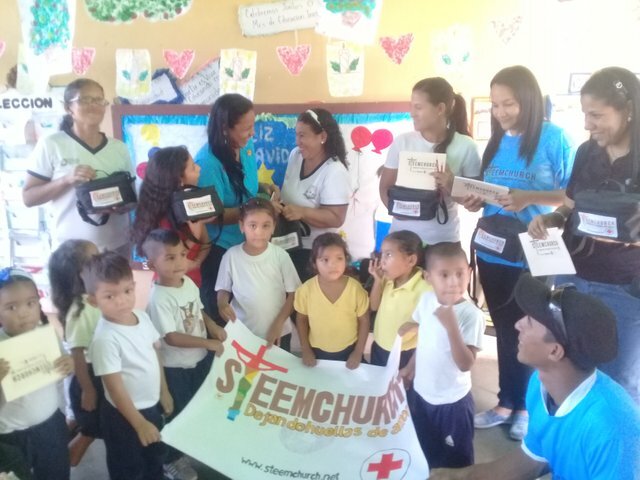 The contact of SteemChurch with the schools has been very exciting and contagious, from the smiles of the children, to the thanks of the Teachers and Educational Directors, who deeply thank the Church of Steem for the valuable gestures of love that we have managed to propitiate with a lot of humility and above all with sincerity. "What counts in life is not the simple fact of having lived, it is what difference we have made in the lives of others that determines the meaning of our lives"
This great thought, coupled with the biblical principles, leads us to the conclusion that we have to help the needy. This week we visited two schools, where we shared moments of joy, reflection and the hope we have in God's love for humanity. On this occasion, we complied with the Schools, to whom we had promised, according to their pressing need, First aid kit and notebooks for the children with the greatest need. The following images show the team in the different activities and experiences with the teaching, administrative staff and students of the schools. The grace of God multiplies every trace of love and many patrons are consoled. We thank the distinguished support of @sirknight and the entire team of Deacons who worked on these first deliveries of medicines and notebooks! Raise your flag and leave a trace of love! 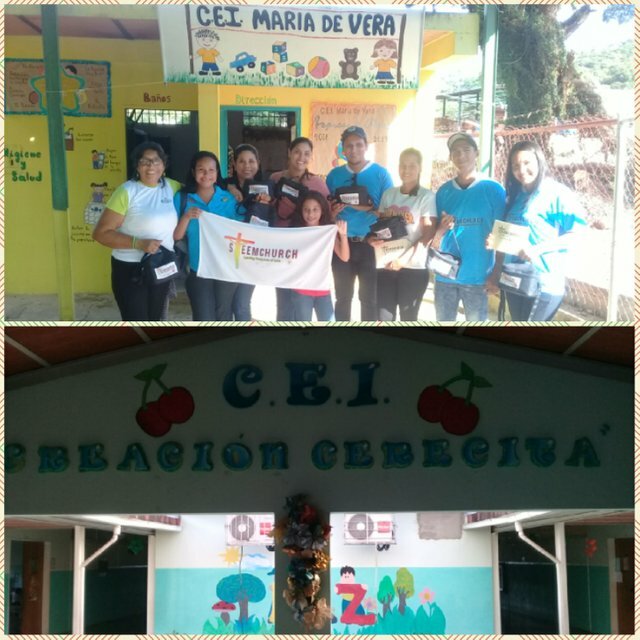 Lets make Jesus Christ known everywhere as we touch lives and crown HIM LORD of all. Amen! 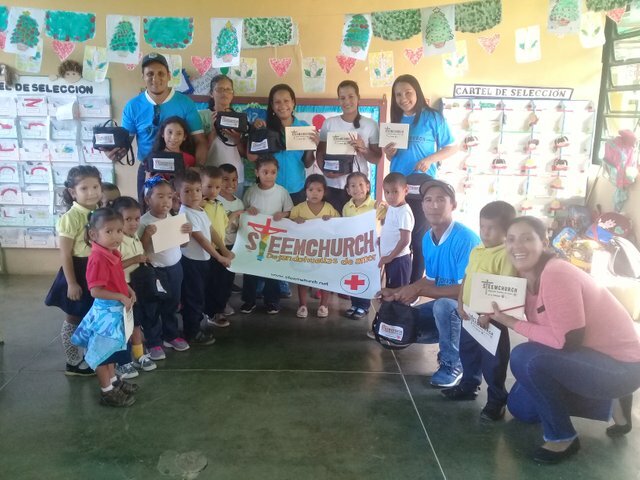 Working with children is the most beautiful job you can have, they are so innocent, and to procure their due attention is very necessary, @Steemchurch greasy for this beautiful gesture with the children of the schools. I am happy to be part of this social work, thanks to the brothers for integrating me, God bless #steemchurch. My colleagues were curious to know more about this Church. 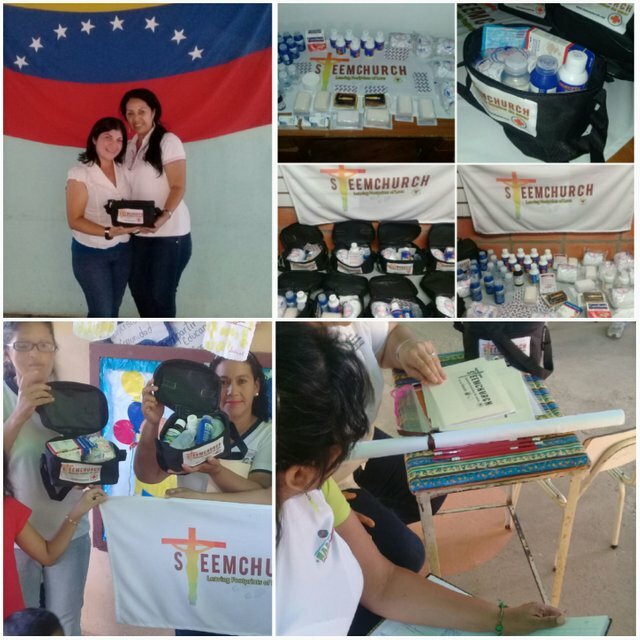 Congratulations for this great gesture, steemchurch with the love of God and teamwork is really a Church that produces significant changes. 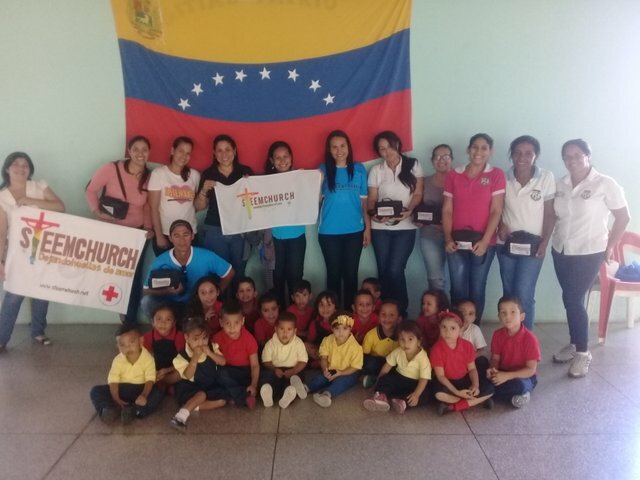 This is a work Exemplary brother, a group of Christians committed to the just cause of serving God, honoring love and serving as support for those who need support, I believe that this is an example for many public institutions and systems of governments. Good morning, brothers, blessings for all, this means a lot, I encourage you to continue working and soon I will be with you. Thank you for showing this wonderful update. If EC, it is a magical moment to share the love of God when many really need it, charity when it is spontaneously takes on a valuable meaning. The empathy that there was in the place makes us think that God has given us grace. Thanks to SteemChurch we can live these unforgettable moments. Great work by this team. God bless you for doing this and putting smiles on the faces of the students. 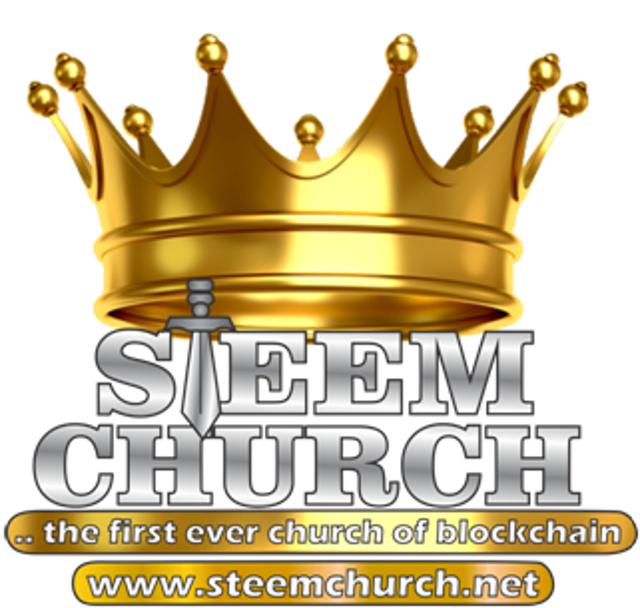 With @Steemchurch, we make footprints of love wherever we go. Me alegro que estos eventos se realicen, a veces creemos que ya no hace falta, pero a nuestro alrededor tenemos de incognito muchas necesidades. a las cuales hay que tenderle una mano. los felicito por sus actos. I am very proud of you and your church @emiliocabrera. These things are necesary to our country confronted with so many problems. Congratulations friends!